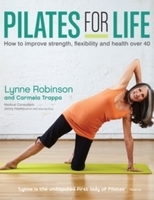 Pilates for Life is the ideal guide to Pilates for anyone over 40. In addition to providing clear information and step-by-step instructions for a specially tailored workout, there are also sections on how specially developed exercises can help with a number of conditions. From gentle exercises suitable for recovering from a hip replacement to coping strategies for the symptoms of Parkinson's, this is in depth and carefully researched guide is essential reading. Written by two Pilates experts with a wealth of experience and in consultation with a chartered Physiotherapist, the exercises and tips in Pilates for Life can help to prevent or reduce the development of some issues and conditions associated with ageing. 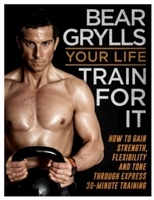 This book is full of inspiring guidance for anyone wanting to explore the benefits of Pilates.